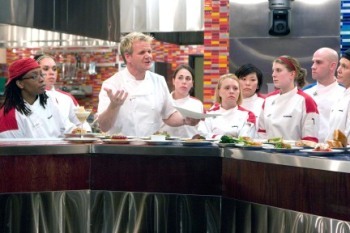 Gordon Ramsey returns to Hell’s Kitchen while the boys were back on The Bachelorette. children delivered to an alien ship back in the sixties, but knowing Torchwood, there’s bound to be another level of nefarious. We’ll learn more tonight, as Day Two airs on BBC America. guys against the girls with a great prize for the winning team. Watch Hell’s Kitchen at 8:00 on Fox. it’s fun and it’s full of Cassidys! It’s the premiere of Ruby & the Rockits. Watch Ruby & the Rockits at 8:30 on ABC Family. fashion designer and PC is bored. The press on this says that he’ll end up with his shirt off in front of cameras. You may want to make sure the children are out of the room before that happens. Watch NYC Prep at 9:00 on Bravo. John Schneider is joining the cast of 90210. Shaquille O’Neal has had his reality competition series picked up by ABC. Lifetime will be making TV movies out of two of Patricia Cornwell’s books, At Risk and The Front. Daniel Sunjata and Andie MacDowell will star. Exclusive interview with the SYTYCD and Idol costume designer!